In the previous ZK in Action posts we went through implementing a CRUD feature using ZK MVVM. We also quickly went through some styling code that may deserve more explanation. In this post, we'll go over how to append new CSS styling rules onto ZK widgets and how to override the existing styling. 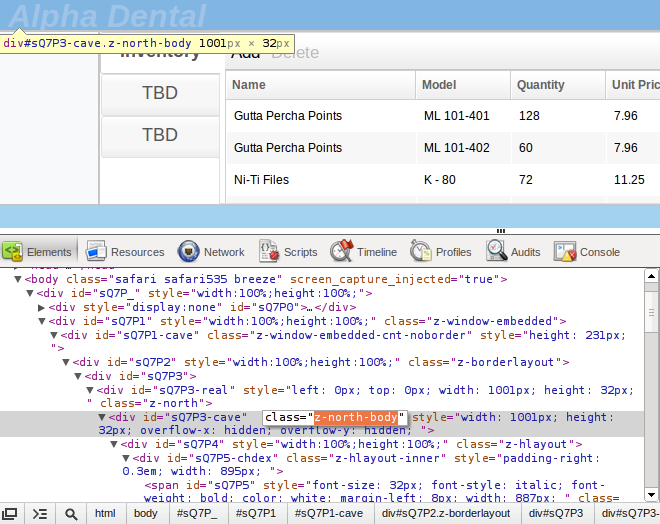 We'll also introduce some basics of UI layout in ZK. Use ZK's layout and container widgets to host the inventory CRUD feature we built in the previous posts. from line 4 through 7, we wrap the two labels with an Hlayout so they'll be displayed side by side proportionally with respect to the "hflex" attribute we specified. That is, the Label assigned with hflex="9" has 9 times the width of the Label assigned with hflex="1". The ZK default font properties and the background colours were modified so headings would be presented more prominently. Let's quickly explain how this is accomplished.